It is becoming more and more apparent that your brand online reputation plays a significant role in the overall success of your business. According to a Harvard Business School Working Paper, “every additional one-star Yelp rating causes an increase in the business’s revenue as high as 9%.” There is no possible way to make your brand’s online reputation 100 percent positive. However, there are always things you can do to help improve your online reputation. 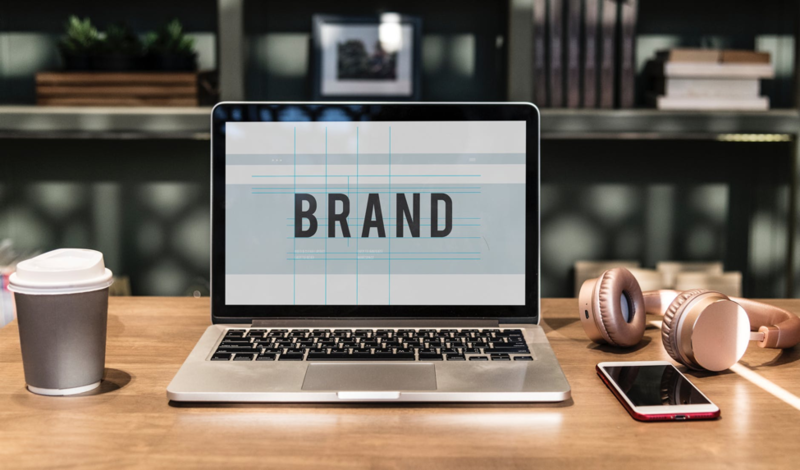 In this article, I will be discussing three long-term strategies that you can use to improve your brand’s online reputation. Many different factors play a role in a brand overall online reputation, but there is no doubt that one of the most important factors is online reviews. Most business owners understand this, but what they don’t understand is how to use online reviews to their advantage correctly. Most business owners believe one of two things about online reviews; either they think that you should ignore all of them, or that you should only engage with positive ones. However, both of these beliefs are wrong. When it comes to online reviews, you should engage with all of them regardless if they are positive or negative. The reason why you should engage with a consumers trusts a company to a greater degree if the reviews for that company are positive.” Based on this data, it is easy to see why managing and maintaining your brand’s online reputation is more important now than ever before. All types of reviews are because it shows your customers or whoever may read the conversation, that you care about what other people say. If you are engaging with customers who write online reviews, it gives your brand personality, and consumers love to shop with brands that they feel like they have a personal connection with. When responding to positive reviews, all you have to do is reinforce what they say and show your gratitude. For example, if someone wrote that your business has great customer service, an appropriate response would be to express that your brand emphasizes the importance of customer service and then to thank them for pointing that out. When you are responding to a negative review, what you should do is apologize if necessary and emphasize that the company is working on the issue that they had. For example, if someone wrote that your company has terrible customer service, you should respond by saying that you are sorry for that problem, and you are taking steps to fix it. Whether the review is positive or negative, you should always respond to it no matter what. Even though you aren’t saying much in these responses, it is essential to do so because it shows that you care about what your customers have to say, and that is something that means a lot to consumers. Another benefit of monitoring your online reviews is that you can find out fairly easily on how to improve your brand. If there were 50 negative reviews about your brand written online and 95 percent of them all said some version of the same thing, then you know that whatever was said is something that you should look to improve on in the future. Doing this consistently will significantly improve your brand’s online reputation over time. Social media is an excellent way to advertise and develop relationships with potential and current customers. Therefore, being active on social media and engaging with people on these platforms is a great way to improve your brand’s online reputation. However, if you end up saying something that other people find offensive or controversial, then your online reputation may be tarnished forever. Therefore, it is important to know how to interact on social media so that you don’t get in any trouble. Being active on social media will automatically improve your brand’s online reputation as long as you don’t do anything that could be deemed as controversial. It also allows you to answer questions consumers may have quickly. This is important because the faster you can communicate with customers, the happier they will be, and the more positive your brand’s online reputation will become. For example, if you are in the automotive industry and someone asked you via social media what to look for when buying a used car, you can not only answer their question immediately, but you could also provide relevant information about your industry and do it in a way that suggests that they take a look at one of your products, ending in a potential sale. As long as you can engage with people professionally and respectfully, being active on social media will only help your brand’s online reputation over time, and will never hurt it. Associating yourself with other brands who have positive online reputations will only help your brand in the long run. This is because people generalize who you are by whom you are associated with. Therefore, if you are associated with positive brands, then the average person will believe that your brand is positive as well. There are many ways in which you can associate yourself with positive brands, but one of the easiest and most effective ways is to network with influencers. An influencer who has a positive brand and a big following is someone who, as a business owner, you should be looking to work with. One way to associate with them is to write guest blog posts on their pages and have them syndicate your post across all of their social media platforms. Another way is to conduct an interview and have the influencer post it on their official website and social media pages. Doing these things will help ensure that your brand online reputation stays positive. In summary, improving your brand online reputation is extremely important for all businesses. Unfortunately, improving your brand reputation is not something that you can do overnight. It is a long and tedious process that will require a lot of work but it is necessary to do in today’s business world. Ivan Serrano is a writer specializing in technology. He is from San Jose, California, and attended high school at Valley Christian High School (go Warriors!). He transferred to San Francisco State University (go Gators! ), and graduated with a double major in English (concentration in Creative Writing) and Journalism (with a concentration in photojournalism).